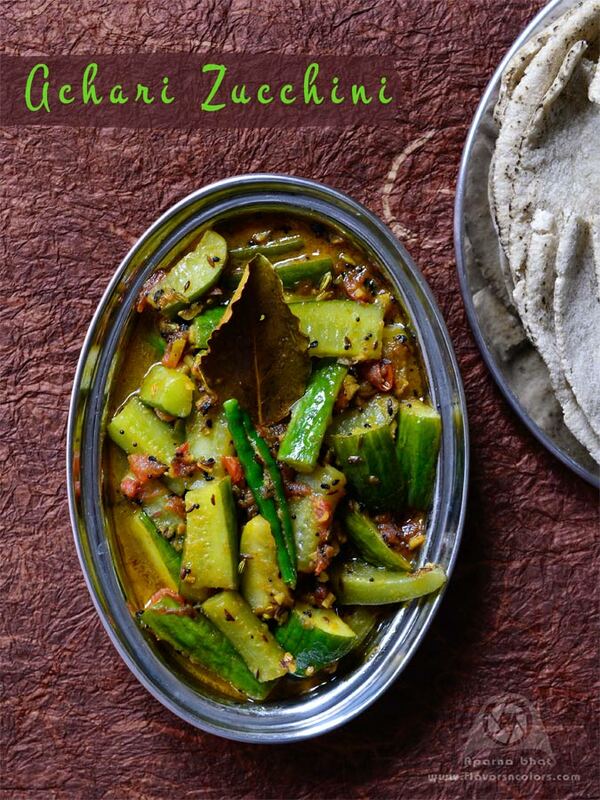 About 5 years back while teaching alphabets to my elder one, I came across "Z for Zucchini". It was the first time I had read about this veggie, so further researched to know what it is exactly. When I read about it here, it dawned on me that all this while what I was buying from supermarket was not cucumbers but zucchini. Both zucchini and cucumbers belong to same family Cucurbitaceae. I also read that unlike cucumbers, zucchini can be served as cooked dish. Though never dared to cook it until I came across a recipe that looked delicious and it had this veggie in it. 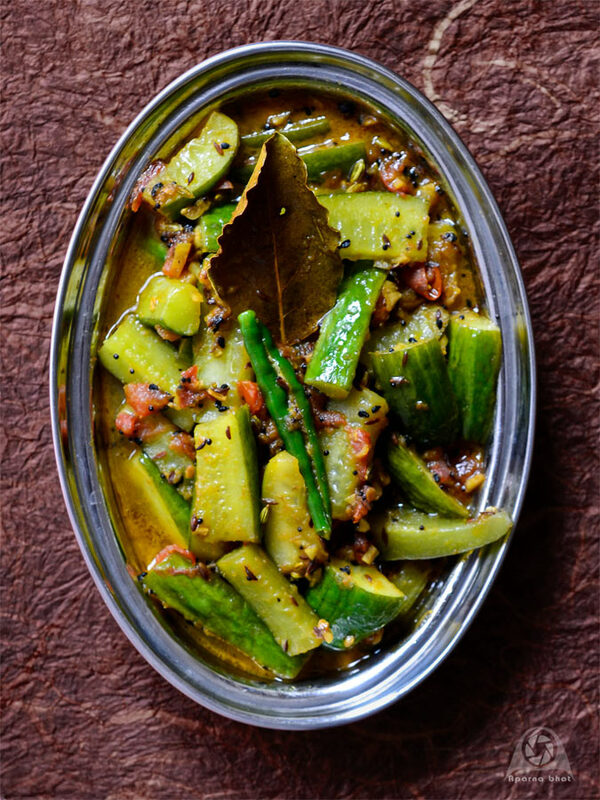 The below recipe is inspired from Seema Hussain's recipe of Achari Tori. Using zucchini was suggested by another friend. I halved the quantity as this was an experimental attempt. If you like flavors of panchphoran mix then you would surely like the below dish.